Dave Walker, cartoonist, web editor and former church youth worker has become the UK's leading cartoon commentator on the state of the Church. His uniquely styled Guide to the Church cartoons appear weekly in the Church Times as well as at cartoonchurch.com. 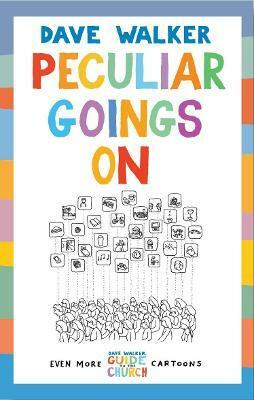 From tables of churchgoing types to startling revelations of what people are thinking about during prayers, plus what actually happens to all those yoghurt pots collected for holiday club, this fourth collection of perfectly-observed cartoons will bring a smile to the face of any churchgoer.